We take a broad, multidisciplinary approach to applied superconductivity for energy and health. Our research is focused on the phenomena associated with high- and low-temperature superconductivity, as well as energy related materials where quantum physics blends with heavy industry; this includes aspects from most materials disciplines, including physical metallurgy, composites, materials chemistry, modelling, electromagnetic devices and medical materials and energy devices. 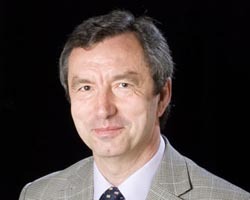 We are also actively promoting superconductivity using film platform DVD Lectures on Superconductivity directed and edited by Prof. Glowacki as a part of the IEEE Council on Superconductivity (CSC) and the European Society for Applied Superconductivity (ESAS) http://www.msm.cam.ac.uk/ascg/lectures/. Development research includes the design and fabrication of advanced superconductors, and their characterization and optimization, for applications including high-resolution MRI, NMR, fusion, energy storage and fault current limiters in collaboration with SIEMENS. Materials under investigation span the entire Tc range, including REBa2Cu3O7, MgB2, Nb3Sn and Nb3Al for ITER project. We are developing advanced multi-ceramic ink-jet printing of 3D multifilamentary magnetic-superconducting heterostructures with nanosize artificial pinning centres, to reduce hysteretic AC losses in high-current coated conductors in collaboration with BASF. Our innovative, pulsed transport current (4 kA) and magnetic field (32 T) testing facilities enable rapid definition of the pinning force of conductors under development as well as characterization of our superconducting novel bearings in collaboration with SKF, SuperOx and SuperPower. Characterization of the percolative character of the critical current in superconductors involves the use of sophisticated magnetic and magneto-optic sensors combined with electron backscattering microscopy and computer modeling of current flow. We are also expanding our materials modeling and ink jet printing development activities in the frame of Transnational Energy Materials Research Printing Initiative, www.tempri.eu, to solid oxide fuel cells, supercapacitors, vanadium redox flow batteries as well as microwave catalyst assisted natural gas reforming to pure hydrogen and carbon-nanoform production for energy applications for global energy market. Our cryoscience research integrates research into photocatalytic hydrogen-oxygen production for fuel and cryogenic purposes in combination with MgB2 materials development. We are engaged in an academic and industrial partnership to develop MgB2 coils for generic energy applications development of advanced cryocooler-based liquid hydrogen laboratory systems for in-depth low-temperature materials and cryogen characterization and energy storage and use. A. Patel, S. C. Hopkins, B. A. Glowacki, "Trapped fields up to 2 T in a 12-mm square stack of commercial superconducting tape using pulsed field magnetization", Superconductor Science and Technology, 26 (3) 032001; Fast Track Communication. Featured on the cover page, with image.